Do you want to learn cooking? Book a class at Top Nosh and be sure to get the right help for impressing your friends with newly learned cooking skills and culinary knowledge. This Cape Town cooking school offers classes to students, domestic helpers and maids as well as to chefs who want to hone their skills and meet new people and make new friends. Nadin, a German expat living in Cape Town for many years, is a professional and experienced patisserie chef who worked at several South African top class restaurants and hotels as well as restaurants in England, Switzerland and Germany. She is a highly respected team member of Culinary Team South Africa and has cooked for many celebrities, even for the Queen of England. Since 2007 she offers cooking classes from her well equipped studio in the southern suburbs of Cape Town, where she teaches various cooking classes for up to 8 students. 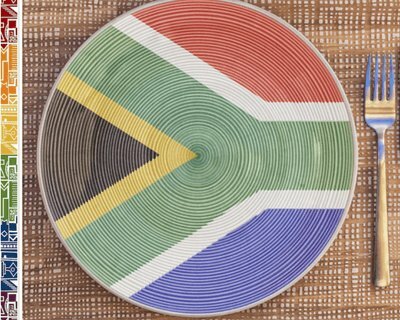 In her Cape Town cooking classes she will share some of her secret recipes for you to take home and spoil your family. Join a morning or evening cooking class with her and you will be surprised how much fun a cooking class can be. 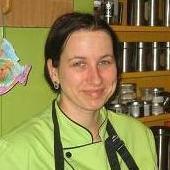 Nadin introduced us in the course we choose to the basics of cooking and baking with chocolate. Nadin Pospech-Demmler offers various cooking classes to interested locals and foreigners to learn many useful tricks for cooking culinary treats. Furthermore you can book her for catering for special occasions, business openings and larger business events. Here is an insight into the fabulous Cape Town cooking class with Nadin which a group of expats had the pleasure to attend. As in our expat group we were all chocolate lovers, we choose to book the 'All around chocolate' cooking class. Besides learning how to make five chocolate desserts: chocolate mousse, chocolate bread & butter pudding, chocolate sauce, chocolate shuffle and chocolate fondant, we were provided with numerous tips and tricks for mastering these treats. We also enjoyed a tasting of different white and dark chocolate varieties. We shared many giggles and had lots of fun during the cooking class and were surprised how easy it was to create the treats with all her cooking tips. Even the most delicate chocolate soufflés turned out really well and were such a lightweight treat, we tried not to feel guilty indulging in all the sweetness. After having done all the 'hard work' in the kitchen we sat down with Nadin with a cup of coffee/tea and enjoyed our baked goodies and her most delicious home made vanilla ice cream which you will see in this picture with the heavenly chocolate fondants with melting centers. Hmmmmm! Nadin also provided boxes and bags so we could take the remaining treats home to our families. So spoil your family and book a class or maybe you want to give a gift voucher for a cooking class to your loved one for a birthday or Christmas? You can contact Nadin directly here. Contact: Find more info on her website here. 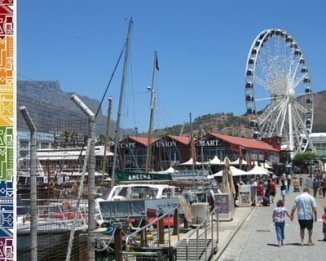 Subscribe to our ExpatCapeTown newsletter. It's free.